More young people die in Vietnam every year due to drowning than road traffic accidents and it is the biggest killer of children in Vietnam. 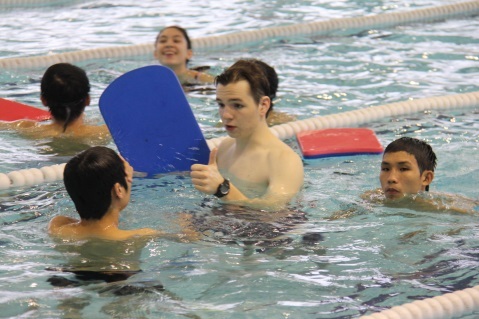 UNIS Hanoi has been supporting KOTO for more than 15 years providing swimming lessons to their trainees through the Service Learning Programme and more recently extending the programme to Blue Dragon. The Birthday Gift Fund has extended the successful Swim For Life programme to local schools, developing a programme which allows for children in Grade 4 and Grade 5 to attend a course of swimming lessons delivered by our own fully trained students who can chose to gain certification. In addition, training given to our own students to teach swim skills, and training courses that may be offered to young Vietnamese in the future, will ensure that it is a gift that will keep on giving. The funding awarded to the Swim For Life programme is 10,000 USD.